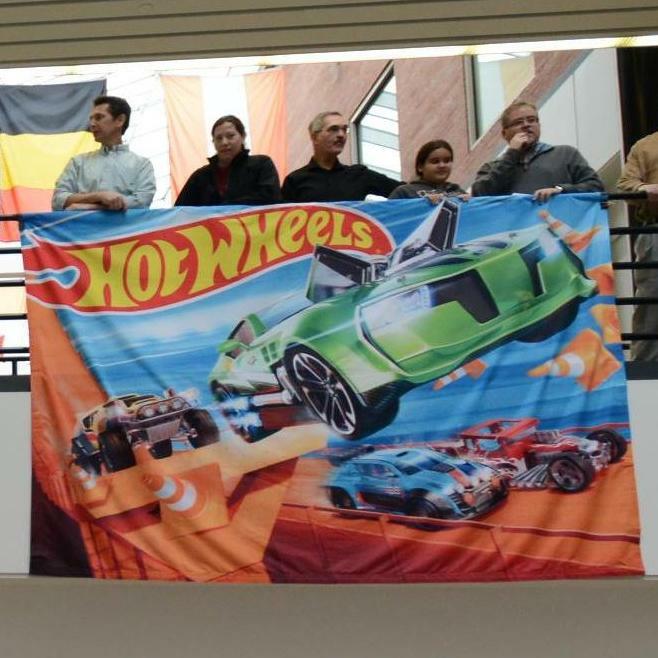 Ford Motor Company went loopy for Hot Wheels – if only for a day. 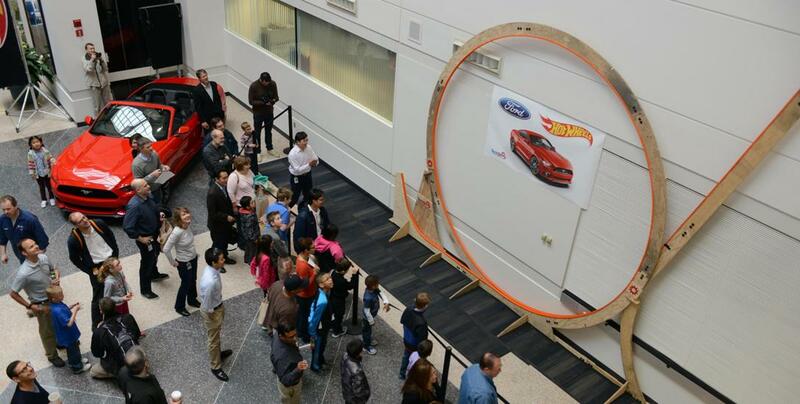 The result was a world record track loop that “ran circles around the old Hot Wheels record loop,” according to a press release from Ford Motor Company. Brainchild of Matt West, a Ford dynamometer technician, and his son, the looped track topped out at 12 feet, six inches tall, almost three feet higher than the previous world record of nine feet, nine inches. Of course, a Hot Wheels Mustang made one of the world record runs, Ford reported. The world record run started at over three stories high inside Ford Research and Innovation Center. “On a track, a Hot Wheels car can only go so fast, so carrying the momentum of the vehicle through an entire loop is harder than you might think,” said West, who resides in Monroe, MI. West and his six-year-old son received help creating the loop for the record run from others at Ford, including a computer-aided design engineer who used software often used for car design, and members of TechShop Detroit, a do-it-yourself workshop and fabrication studio. Hot Wheels also was enthusiastic about the new Hot Wheels mark, which the Detroit Free Press reported will be submitted to Guinness World Records for verification. “It’s an honor for Hot Wheels to have inspired Matt West and the Ford team to embark on such an epic world record attempt,” said Chris Down, senior vice president and general manager at Hot Wheels. Hot Wheels has created hundreds of 1:64-scale Ford vehicles, including many of the original 16 models released in 1968 – a custom Mustang, Thunderbird and Cougar. Like setting a world record.